The South Lincoln Mariposa Phase II development consisted of four buildings designed to LEED Gold standards: Building “B”, Building “D”, and two buildings each with three townhome units. 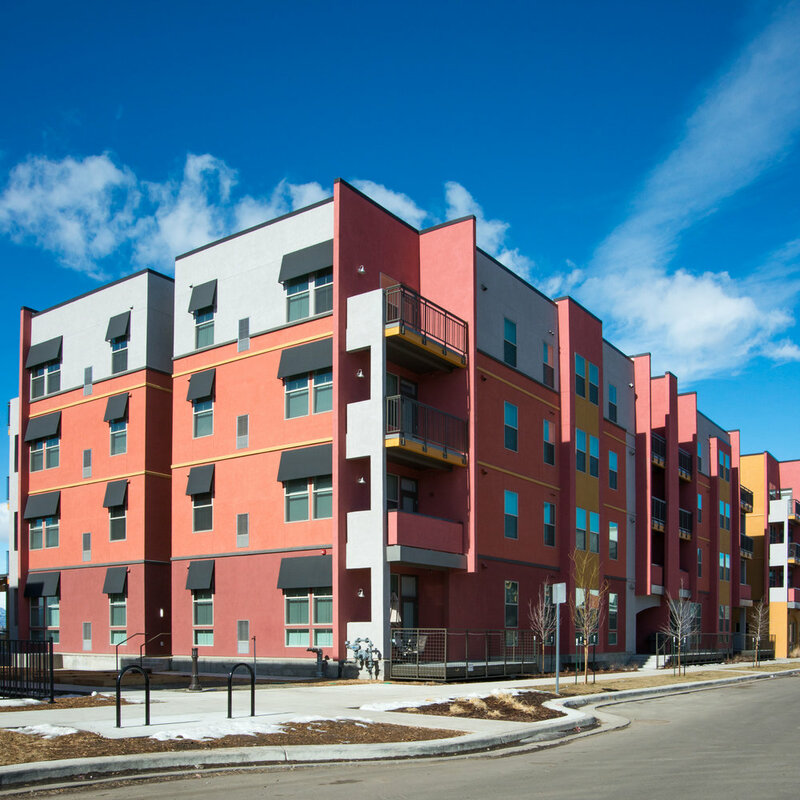 Part of Denver Housing Authority’s Mariposa master planned community centered around Lincoln park and the Osage transit station as a transit-oriented development. Retail gathering spaces and community outdoor gardens were integrated with the building community as well as the neighborhood community. La Alma-Lincoln Park community meetings included DHA residents and stakeholders. During the design process, the team began conducted a rigorous and comprehensive series of work session charrettes to explore alternatives. We efficiently achieved consensus on all issues from project goals, programming of arts, production and display facilities, and the character of commercial spaces, to materials and aesthetics of the buildings themselves.